Whether this purchase is intended as a gift for that special someone or as a treat for yourself our attractive and safe Gift Box will ensure your perfect package. With Diamond Traces, your gift packaging will be delivered in distinctive, matte black packaging with velvet and a cognac wooden box. 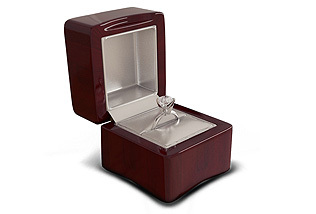 A stunning cognac wooden box with a beautiful polished finish, and a second outer box to protect presentation box and your jewelry. Our signature jewelry box is unique matte black packaging with velvet and a second cognac wooden box inside. 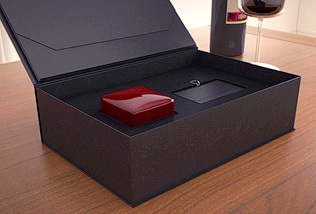 This box is available for free with any purchase over $5,000.